Learn how to add a gradient to a background area in your Modern Editor design. 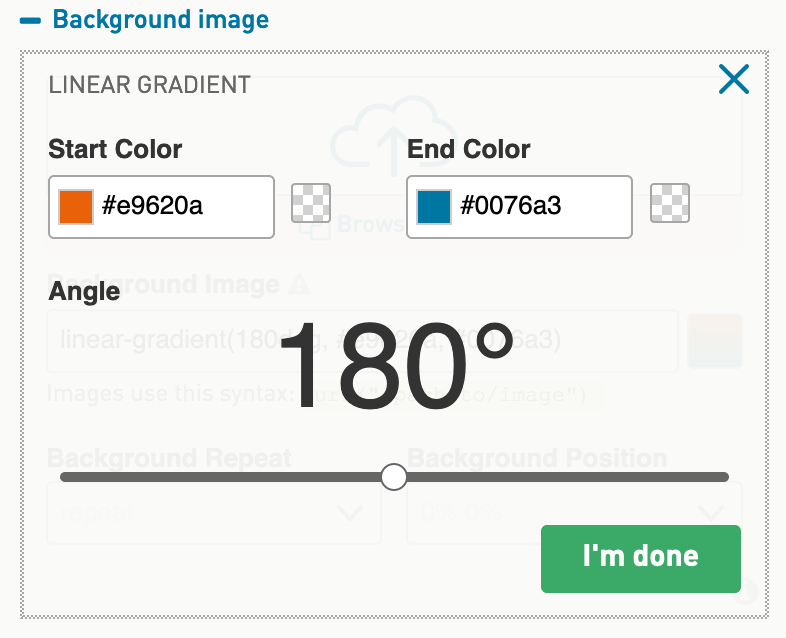 It may seem counter-intuitive, but an HTML color gradient is actually considered a background image. 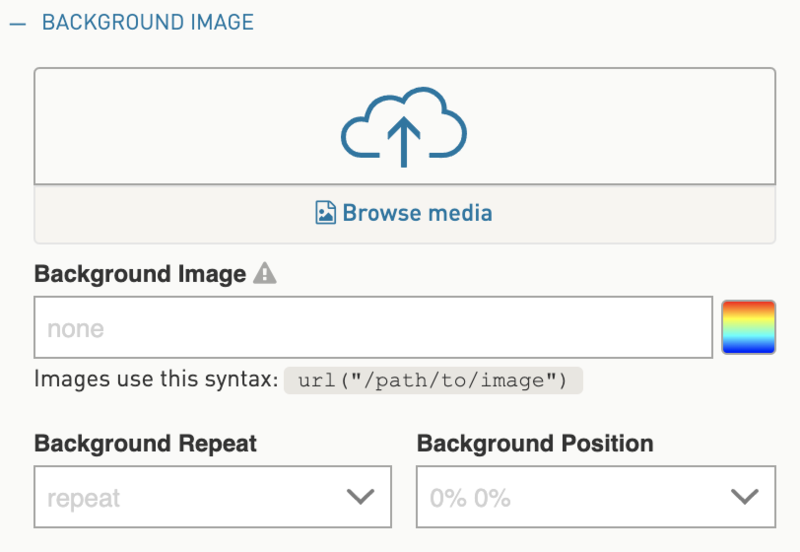 Since some email clients—including Outlook 2007/13/17 PC and Outlook.com—do not support background images, you'll need to set a solid color as a backup. The code included below will work well in most email clients, while falling back to a solid color in others. We'll cover how to add gradients by pasting one line of code into the Modern Editor Styles UI. 1. Open your document in Modern Editor. 2. Click on the block where you want to add the gradient. 3. 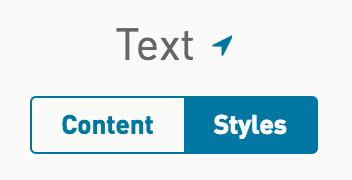 Click on Styles tab. 5. Select a color in the Background Color field. This is the color that will display if gradients are not supported. 10. Click I'm done when you are happy with your selections. This will apply the gradient to your design. If you need to make adjustments to the colors, click the rainbow-colored icon again.